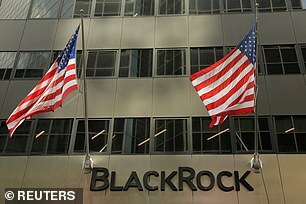 Markets could rally sharply amid signs of solid growth in the US and China, according to the boss of investment titan Blackrock. Better economic data and a pause in interest rate rises create ‘Goldilocks’ conditions for a rebound, Larry Fink said as Blackrock reinforced its position as the world’s biggest fund manager, sucking in an extra £50billion to give it total assets of £5trillion. Fink said many big investors are waiting for signs of solid growth before they pump money into stocks. Blackrock also raised the alarm about climate change.